Cutting Yourself: Why Do It? The act of cutting oneself will undoubtedly seem strange to the majority of people. Why on earth would people willingly choose to cause pain to themselves by cutting their own skin? 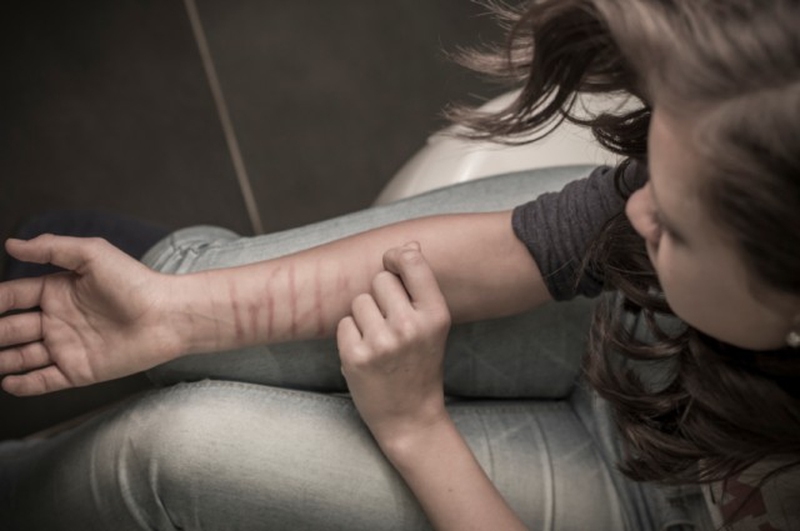 The truth of it is that for people who cut themselves, such a method of self-harm is a way of dealing with other problems that they face in their life: the loss of loved ones, alienation, rejection and depression are only a small few of the reasons that a person might be driven to cut themselves. In such cases, it is often found that the physical pain caused by cutting provides relief from the emotional pain that is felt by an individual. This article will answer the often rhetorical question, “why do people cut themselves?” as well as provide help to those who are dealing with self-harm on a personal level. As formerly mentioned, the majority of people who cut themselves will do so due to underlying difficulties which they are faced by. But the question remains: why choose to physically harm yourself? Below are a few of the reasons why people cut. It draws attention away from your emotional pain. A number of people who cut themselves find that the act of self-harm directs their focus away from the problems that are troubling them. As an anonymous cutter admits, 'I like to think when I cut, "Okay, now all the pain in your head is in your skin."' For sufferers like this, the choice of physical pain is preferable to the emotional pain they feel on a daily basis as it is simpler to deal with than the complexities of psychological depression. Scars say more than words. In an indirect way, people who cut themselves may do so to emphasise their depression with the hope of it being noticed and addressed by others. Whereas talking to someone directly about your problems can often be difficult, giving yourself scars might be seen as an easier–and a more powerful–way to cry out for help. Cutting yourself gets you high. In physiological terms, endorphins are released when you cut yourself which can result in a pleasurable 'high' that becomes addictive. These brain chemicals are produced by the body when it is injured and act in much the same way as morphine by functioning to reduce the amount of pain you feel when hurt. In this way, it is not uncommon for people who cut themselves to feel a ‘rush’ or ‘high’ when they take a blade to their skin. By understanding the reasons as to why people cut themselves, you may be able to treat the problem by addressing these underlying causes. Firstly and most crucially, it is important to deal with the emotional feelings which are at the root of the problem. By confronting these directly and finding ways to cope with your depression, you can overcome the very issues which drive you to self-harm in the first place. Secondly, try talking to someone who is close to you about your feelings–they will be able to help. By speaking about your difficulties aloud with someone else, you will gain a better understanding of why you are cutting yourself and move closer to resolving the issues that motivate you to behave in this way. Finally, break the habit of cutting yourself. With the endorphins that are produced during self-harm, it is a type of behaviour which can become highly addictive. Try running, for example, it will release the same endorphins as cutting yourself does (hence the idea of the ‘runner’s high’) whilst being simultaneously beneficial to your health. Server responsed at: 04/23/2019 4:26 a.m.